The application is great! Even though I am going through the Guide, I really wouldn’t have to, to learn the software. It is super-intuitive, and a very powerful application. 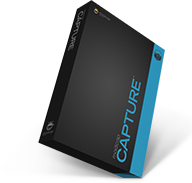 I have had such a good time playing with Capture–now I can’t wait to use it on the real job! "I just got Capture yesterday and installed it late in the afternoon. So today I opened it to take a look, and I started with the Getting Started Guide. Well, I cannot tell you when I've had so much fun with software! This application is great! Even though I am going through the Guide, I really wouldn't have to, to learn the software. It is super-intuitive, and a very powerful application. I have had such a good time playing with Capture--now I can't wait to use it on a real job! I also have Flare, but I haven't really spent much time with it yet. I am looking forward to it, though. I've been a RoboHelp user for more than 10 years, but I can't say I'm sorry not to be using it anymore. It's just so buggy and fragile now that it's hard to use. So I'm a MadCap convert! Betty R. Haley | Heat Transfer Research, Inc.